Helicobacter pylori (H. pylori) is a strain of bacteria that lives in the bodies of about 2/3 of the people on Earth. Most people don’t experience any negative symptoms of H. pylori, but some develop ulcers in their stomach and small intestine. 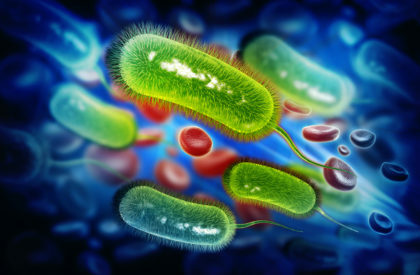 People with H. pylori infections may be more likely to develop cancer in the stomach, including mucosa-associated lymphoid tissue (MALT) lymphoma. If you have symptoms, do not delay seeking treatment. If you occasionally feel a dull, burning pain in your stomach—which is strongest when you’re hungry—you might have ulcers. Ulcers usually feel better when you take an antacid, eat, or drink milk. A gastroenterologist can diagnose and prescribe treatment. There are medicines that can help kill the bacteria and allow the ulcers to heal.